Food for All is one of the more unique community experiences happening in Jackson. 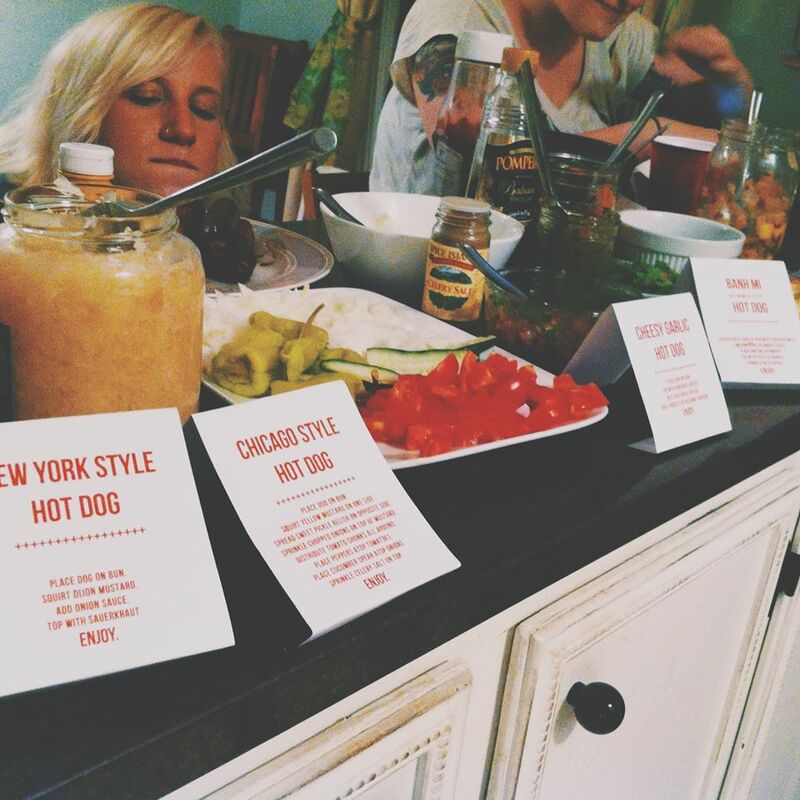 In the fall of 2011, a group of friends (eight families to be exact) began a dinner cooperative. Each family takes a turn cooking for the co-op’s twenty-four members, four nights per week. That equals to over one hundred meals shared together in a year. This article was written by one of the founding members of the group, Anna Worley. As a child I was always enamored by table scenes in movies. You know the ones—big Italian families sitting around a table full of plates spilling with spaghetti and glasses full of red wine. Boisterous uncles, busy telling exaggerated stories about the bygone days, while plump gray-headed women chattered about the latest neighborhood gossip. All the while, what seemed like hundreds of rowdy kids stomped through the kitchen snatching bites of dessert as they passed. Part of my fascination with these depictions of big weekly family dinners was due to the fact that the table seemed to serve more than a purpose of function. Growing up no less than two hours from my closest extended family made such gatherings few and far between for me. Although nightly dinner was a staple in our home, a gathering around the table served a very practical purpose. Dinner guests were the rare exception instead of the norm, and food was there to fill a physical need. Yet the multigenerational family affairs I was smitten with were about so much more than food, albeit an integral part of the equation. The lively conversations shared over the breaking of the bread, and the regular coming together at the table was as much about soul filling as it was about stomach filling. These days my children are the ones romping through the kitchen with a dozen others wielding swords and slaying dragons, and even though there are no blood relatives present, they are surrounded by family. For the past four years, all my kids have known is being a part of what started as an experimental dinner cooperative but has turned into a depiction of something almost too beautiful for words. A family has formed, filled with amazing characters, no less interesting than those that caught my attention on the television screen so many years ago. On any given week night, my kids and I can sit down at a table, and eat dinner with the musician, dancer, lawyer, politician, professor, philosopher, artist, photographer, baker, marathon-runner, change-maker, linguist, philanthropist, nurse, poet, cultural commentator, sports enthusiast, small business man, or builder of the family. We talk about our days, our projects, our interest, the headlines, or our travels. My kids are witness to more adventures in a few minutes at this table than many experience in an entire lifetime, all because of this grace-filled gathering, where sharing life together yields benefits that are shaping the way we view the world and care for others. I’m not sure exactly what my kids will look back and say about our Food for All experience. Who knows? They may watch television and pine for a childhood that included more quiet, quaint dinners at home with just the five of us. But I would like to think that what we have shared with these friends over the years will leave them longing for a home filled with people, who have real stories, hard stories, and just need a place to sit and eat and share. I would like to think that their understanding of true community and hospitality and the giving and receiving of grace is so much bigger because of Food For All. I would like to think that overhearing nightly conversations involving such a rich expanse of knowledge and resources will broaden their horizons and make them dream big dreams of doing amazing things. But no matter how they look back, there is no doubt that they will find memories of the Food for All table brimming over with laughter and love. Anna Worley is the wife of Taylor and the mother of three (Elizabeth 7, Quinn 5, and Graham 6 months). She and her family have made Jackson their home for eight years. She serves as the stateside sponsorship coordinator for the TrueLight Childcare project, helping to care for orphaned and vulnerable children in Ethiopia through a local missions organization, Indigenous Outreach International. She’s most happy with a kitchen full of Indian food and friends, but has also been known to shed tears of joy over spring days and Sonic cokes. Photography provided by Anna Worley.